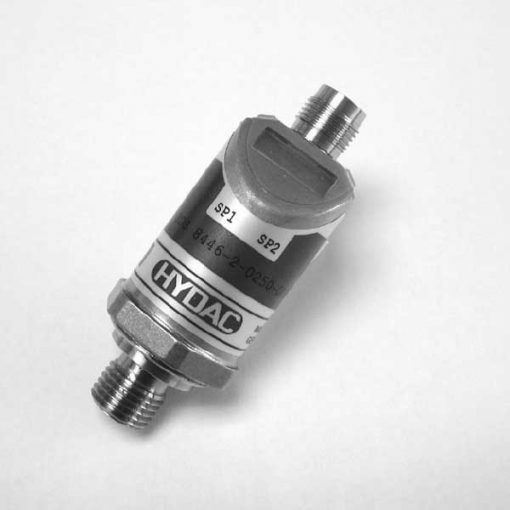 EDS 8000 is an electronic pressure switch in a compact design which is simple to adjust. Also, note that models with one or two transistor switch outputs (PNP or NPN) are available. What’s more, the switch points are set using the two keys and a four-digit display. During operation, a red or a green backlight in the display indicates the switch position. Furthermore, for optimum adaptation to a particular application, the instrument has many additional adjustment parameters. E.g. switching delay times, N/O / N/C function of the outputs. On the other hand, the EDS 8000 is also available in various pressure ranges between 0 .. 25 bar and 0 .. 600 bar. Moreover, the main applications of the EDS 8000 are to indicate pressures and limits in hydraulics and pneumatics. But it can also be in any application where high switching frequency or consistent switching accuracy would overburden a mechanical pressure switch.